To enjoy your foods, even better is a perfect combination of what to order with your dish. We’ll recommend some of our popular menu items that you can order together so that you can taste the real Thai street foods. One of our famous dishes that many of our customers love to order is the “Pad Kra Pao – Sautés Grounded pork with Thai holy basil”. 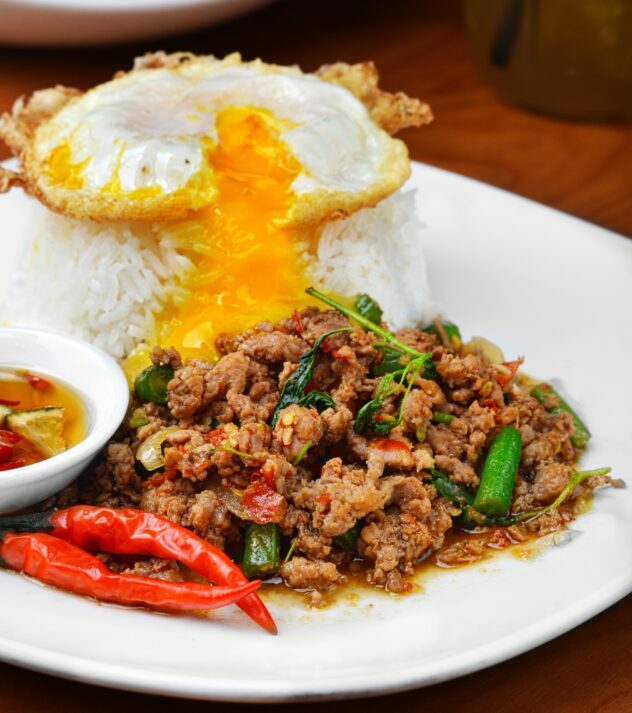 To complete this perfect dish, the side order that you should order together with it is Thai styled fried egg and white rice. In Thailand it very commons to order the fried eggs together with the Pad Kra Pao. Trust me, it’s taste phenomenon! Also, ask our servers for a chili-fish sauce on the side, it will make your food even more tasty. You can’t beat one of our chef recommended “Gai Yang bang Tan – Grilled Cornish hen”. 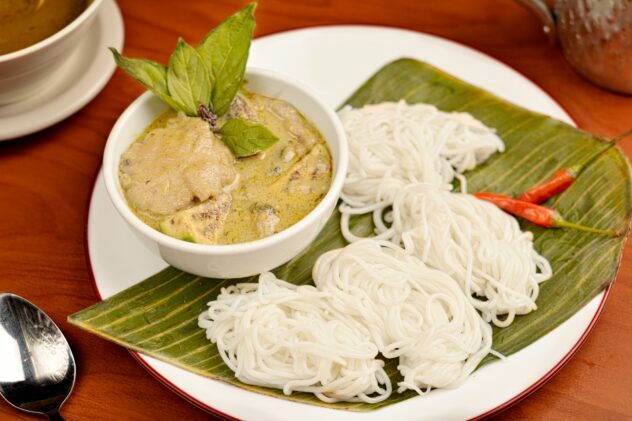 Commonly served on the street of Thailand, pair together with Som tum – green papaya salad, and sticky rice. With all these together, you got a complete meal right there. Our customer favorite dish the boat noodles that serve with our homemade tasty broth. Bump the taste of the boat noodles to another level add the side of our pork crackling. You can put it in the noodle bowl or eat it as a side along with the dish. 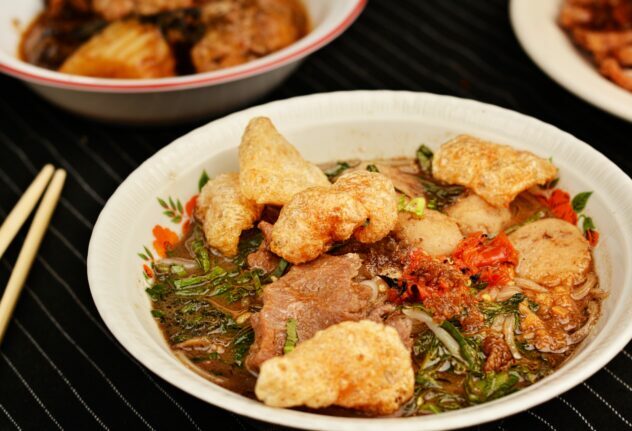 That crispy pork crackling will absorb the broth and make your boat noodle taste even better. Geang Kiew Whan Gai has a reputation being one of our savory curry dish. 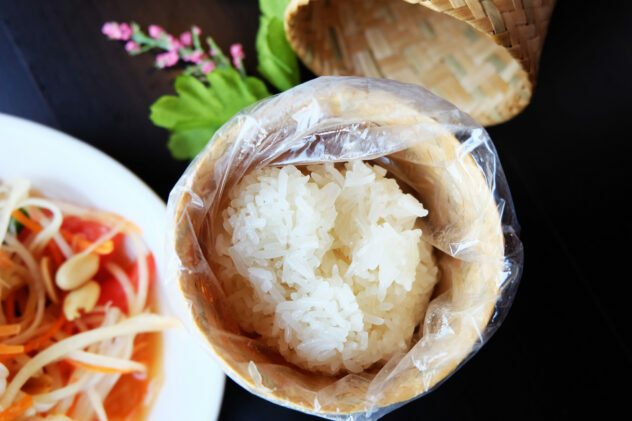 In Thailand, people enjoy this dish with the Kanom Jean – round rice noodles. Make your dish even more interesting and fun by adding the side of Kanom Jean noodles. Thai street foods are about combining and paring what go together with the dish. It’s the way to complete your perfect meal. Next time when you visit Immm, try pairing these recommendations together. This way you can get a full experience of what Thai street foods really are.